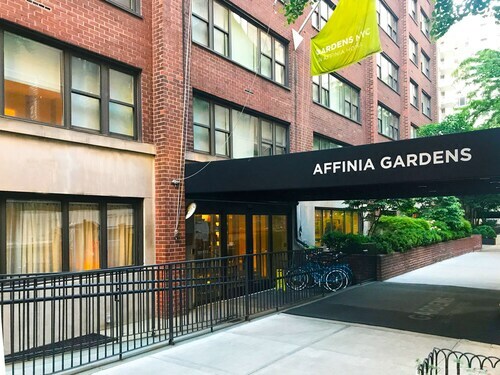 Set in the dynamic center of Midtown Manhattan, Fifty Hotel & Suites by Affinia is in close proximity to Rockefeller Center, Fifth Avenue shopping, and corporate headquarters. 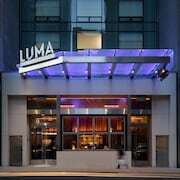 Located in Upper East Side, this eco-friendly aparthotel is within a 10-minute walk of Madison Avenue, Memorial Sloan-Kettering Cancer Center, and Central Park. 5th Avenue and Central Park Zoo are also within 15 minutes. Roosevelt Island Tramway Manhattan Station is 6 minutes by foot and 68 St. - Hunter College Station is 7 minutes. 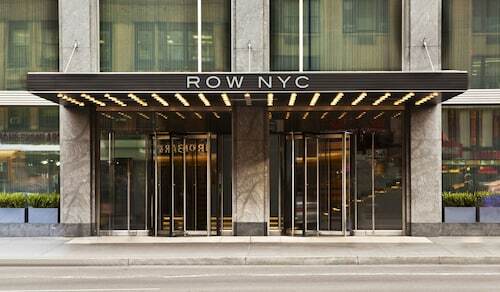 Located in Midtown, this hotel is within a 5-minute walk of Times Square, Broadway, and Bryant Park. 5th Avenue and New Amsterdam Theater are also within 5 minutes. Times Sq. - 42 St. Station and 42 St. - Bryant Pk. Station are within a 5-minute walk. Hilton Garden Inn New York/West 35th Street is within 3 blocks of Madison Square Garden, Macy's Herald Square and the Empire State Building. Broadway theaters and Times Square are 7 blocks away. 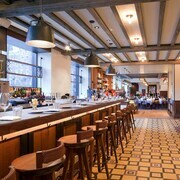 Located in Upper West Side, this hotel is within a 10-minute walk of Beacon Theater and Central Park. American Museum of Natural History and Lincoln Center are also within 15 minutes. 72nd St. Station (Broadway) is only a 4-minute walk and 79 St. Station is 5 minutes. 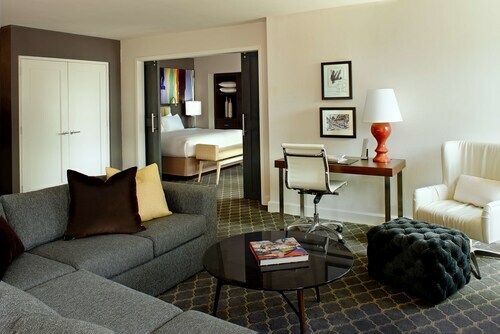 Located in Union Square, this hotel is within a 5-minute walk of 5th Avenue and Union Square. New York University and Washington Square Park are also within 15 minutes. 14 St - Union Sq. Station is only a 2-minute walk and Union Sq. - 14 St. Station is 3 minutes. 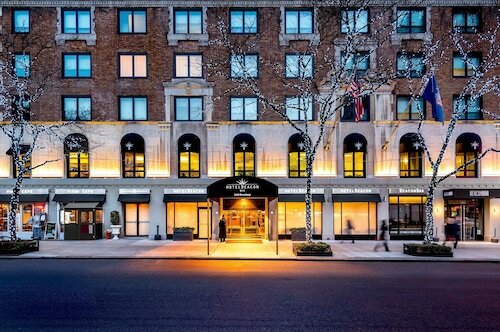 Across the street from Central Park, this New York hotel is 2 blocks from Fifth Avenue shopping, less than 3 blocks from Columbus Circle, and 8 blocks from Rockefeller Center. A train station is located nearby. 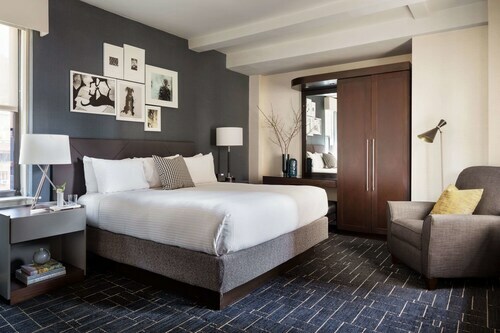 Located in Midtown, this romantic hotel is within a 10-minute walk of 5th Avenue, Madison Square Garden, and Grand Central Terminal. Chrysler Building and New York Public Library are also within 10 minutes. 33 St. Station (Park Av. S) is 7 minutes by foot and Grand Central - 42 St. Station is 8 minutes. You’ve done it—you’ve finally set aside some time for a vacation! You’ve been waiting for a long time to embark on this adventure, and we’re here to make sure it’s as exciting, memorable, and comfortable as it should be. 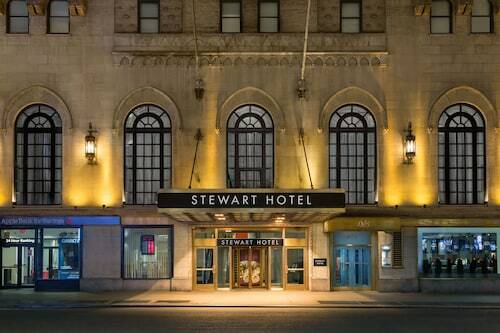 All of the best gay hotels in New York are ready to welcome you. 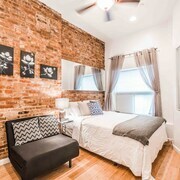 Whether you’re here to dance in the Pride Parade or just want to check out a limited-time art exhibition, your accommodation will ensure you have a warm, welcoming place to rest your head. Do you live to sample the menus at on-site restaurants? We’ve got a hotel for you. Aching to take a dip in the pool after a long day of hiking? Yes, we’ve got that covered as well. 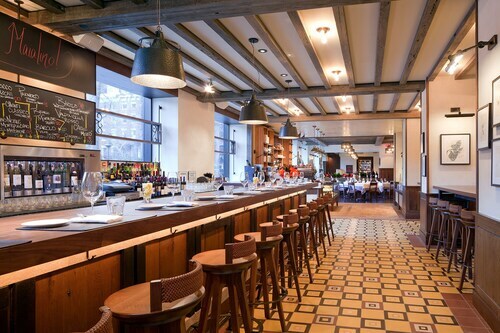 From New York gay-friendly hotels in the heart of the city to quiet lodgings further out in the suburbs, you’re bound to find something that appeals to you. Ready to take that next step toward making your dream vacation a reality? Travelocity has got your back—and outstanding deals at the best LGBT-friendly hotels in New York. Book with us today and put the dollars you save back into your budget. You’ll soon be packing for you next getaway—it’s time to go and smell the roses. It was amazing by New York Standards as far as size of room and bathroom. Did not like that there was no fridge/microwave/coffee pot and beds very uncomfortable after long day of walking. Excellent service. Excellent location. Excellent management. Thank Hyatt for the best experience!!! Breakfast was lovely! !